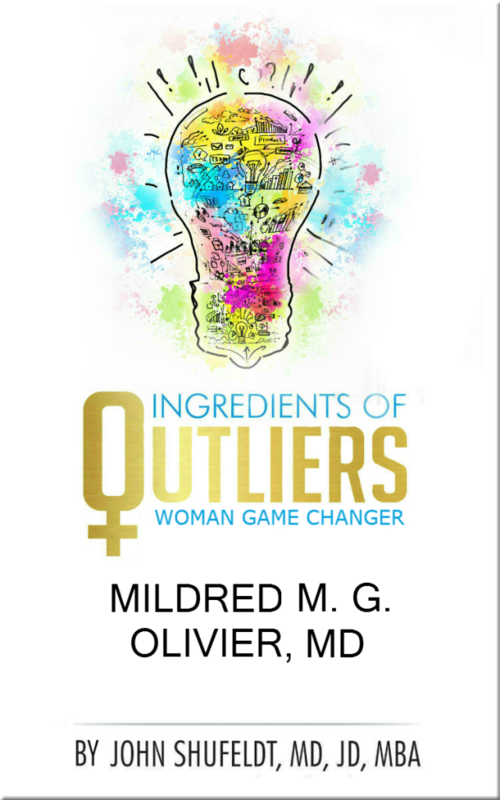 Ingredients of Outliers: Woman Game Changer Mildred M. G. Olivier, MD highlights one of the six outliers profiled in Ingredients of Outliers: Women Game Changers. In this edition, get to know a passionate humanitarian, an advocate, academic and medical expert in the field of ophthalmology, Dr. Mildred M. G. Olivier. Dr. Olivier, the daughter of two Haitian-American immigrants, was taught as a young girl to value education and follow her dreams. She always knew she wanted to be a doctor, and never wavered in her focus. Today, Dr. Olivier is not only a practicing ophthalmologist with a sub-specialty in glaucoma in her private practice, but she is also on faculty at Chicago Medical School and serves as the Assistant Dean of Diversity, advocating for minority students and faculty. 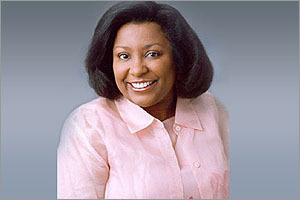 She is also a member of several boards, while remaining active in pro bono medical and surgical training in Haiti. 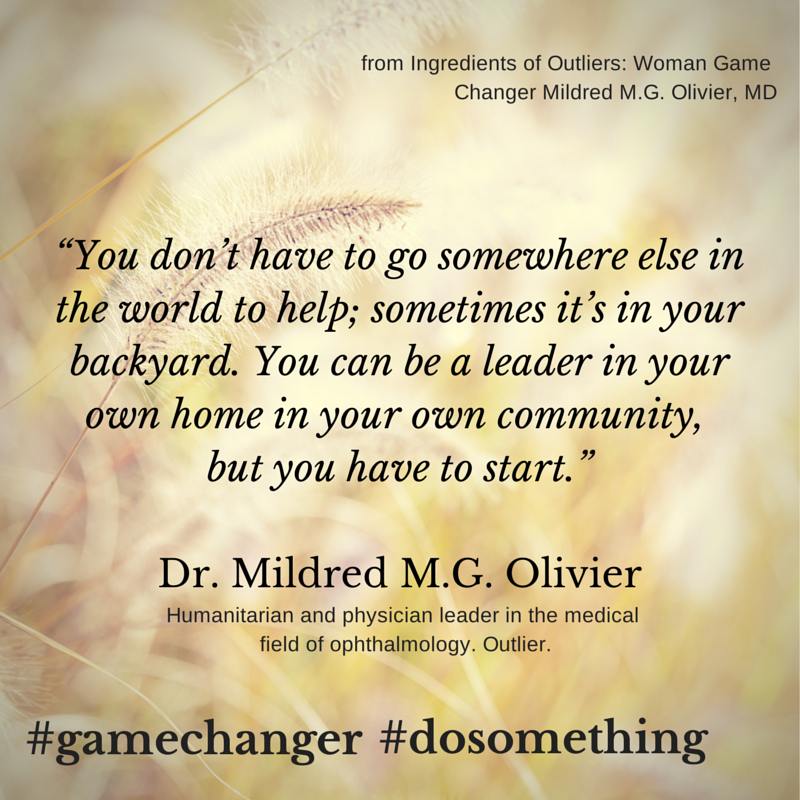 Read about Mildred M. G. Olivier, MD and other exceptional women in the upcoming book, Ingredients of Outliers: Women Game Changers, set to publish in the summer of 2014 as part of the Outlier Series by Dr. John Shufeldt. The series also includes Ingredients of Outliers: A Recipe for Personal Achievement and Ingredients of Young Outliers: Achieving Your Most Amazing Future. The Outlier Series will include at least 12 other books published over the course of 2014-2015, specific to sought-after career fields. Each book will include insider information and recommended channels for pursuing the featured career from experts in their respective profession. Take a look inside this feature to see a woman who is passionate about her work, and seeks to instill confidence in those she encounters. Dr. Olivier attributes her accomplishments not only to hard work, and a strong team, but standing on the shoulders of family, and those who encouraged her along the way. Readers can expect to be inspired by her accomplishments and her own wish that they too would accomplish more than they thought possible.